Hey there, sport fans. According to Entertainment Weekly, Robert Downey Jr., during an interview with the Toronto Sun, called Guardians of the Galaxy “the best Marvel movie ever.” Wow, Tony Stark. That’s saying something. Considering that Downey himself has appeared in five of the MCU films in some capacity, with next year’s Avengers: Age of Ultron making it six. Look for my review of “Guardians of the Galaxy coming up, but for now, personally, I loved Guardians of the Galaxy, but the best MCU movie ever? Close, but I feel there are a few that rise slightly higher. Guardians, for me, felt like it didn’t feel as full as it could have. I wanted…more, which I guess is good for a starter to a new franchise. So what are your thoughts on Mr. Stark’s personal review? 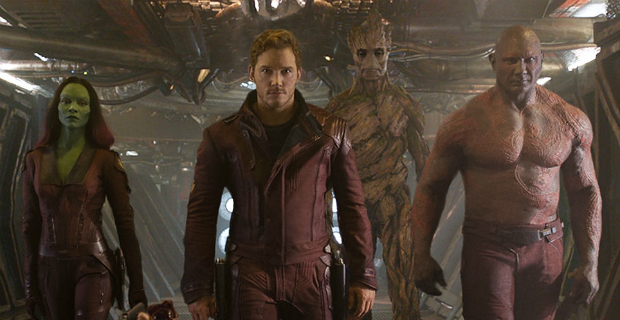 Is Guardians of the Galaxy the best film in the MCU? If so, does Avengers: Age of Ultron or Ant-Man have a chance of topping it? Let me know!